Nelson Case Corporation was established in 1992 to create the most durable, heavy-duty professional custom audiovisual and computer equipment cases in the business. Located in Placentia in Orange County, California, Nelson Case Corp has a library of more than 6,000 ATA road cases and can develop specific designs to meet any customer’s case requirements. 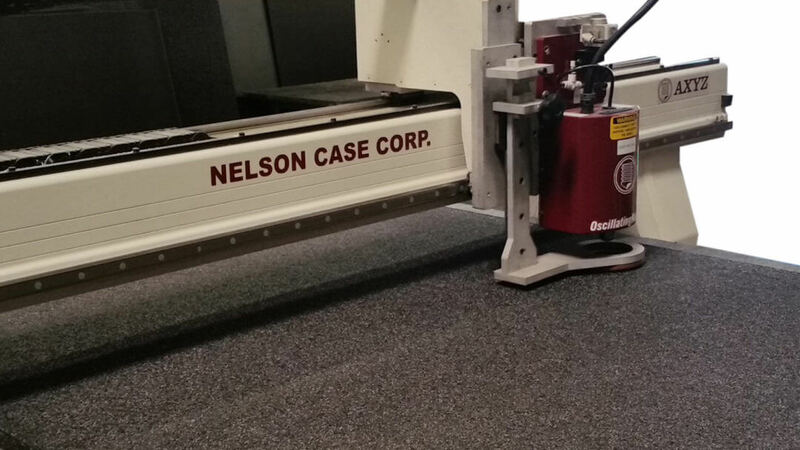 To meet the demand and speed up production of their made-to-order cases, Nelson Case Corp decided to purchase a CNC router and researched machine capabilities online. “We watched YouTube videos of different CNC routers in action and were impressed with the AXYZ series,” said Edward Bobadilla, President at Nelson Case Corp. As a result, they scheduled a visit to AXYZ’s California sales and demonstration facility and met with Larry Daignault, Southwest Sales Manager for AXYZ. “We saw a demonstration of the 4010 router and once we saw it in action, we knew it was the machine we were looking for. We actually bought that demo machine,” said Bobadilla. For more information on Nelson Case Corporation, please visit their website.